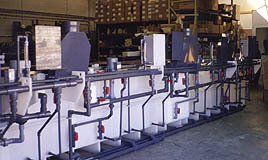 For over 15 years, Thora Industrial Plastics has specialized in serving the printed circuit board industry through the design and fabrication of specialty wet process systems. Year after year, Thora continues to adapt and innovate to the ever changing needs and requirements of this progressive industry. 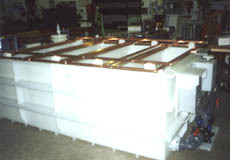 Thora's continued success stems from our ability to produce complete wet process systems reflective of each customer's needs. Thora builds quality wet process systems and equipment because we are involved from the design and fabrication stages to the final installation. Copyright © 2001 Thora Industrial Plastics Ltd.